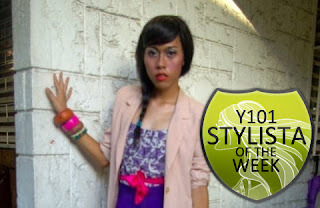 Cebu Is a Beauty | A Cebuana Lifestyle Blog: Y101 Stylista of the Week & Y101 Promos! There is no such thing as a Cebu fashion crowd. All of Cebu is fashionable period. It doesnt take a microscope to validate that fact. *cough Monique Lhuillier, Kate Torralba, Jun Escario. I may have a to do a big catching up on the fashion almanac but I know my island. I love that Y101 FM is taking the step to showcase the unreserved and unpretentious Cebuano fashion sense. This should serve as an official holler to my fellow fabulously noble dwellers of the Queen City of the South! 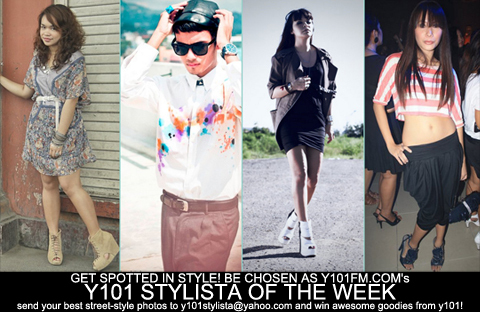 Submit photos of your normal fashionable self to y101stylista@yahoo.comand be hailed Y101's Stylista of the Week just like these two ladies! You get to win goodies too! You know how much I love joining giveaways for freebies. I also have to share Y101's 3/21 Lottery and as of press time the pot is at PHP7000! It's really easy to join and win. Y101 FM Always a First!